At my house, it is my wife’s job to cook and my job to do the dishes. This is good, because she is an excellent cook and I am terrible. She could do dishes, too, of course, but it’s the least I can do to reward her efforts, which I very much appreciate. I’ve been doing the dishes for quite a while. This means I rarely encounter situations that I have not encountered. The dishwasher is like a puzzle, like Tetris. I know what has to be hand-washed. I know where the mugs go, where the spatulas fit, and how to line things up so that the water can reach everything. I don’t prewash or scrape things much, because that is the automatic dishwasher’s job. I know you can’t put something tall in the front left part because it blocks the door where the soap goes. I organize the silverware so that when it’s time to empty the dishwasher, it’s easier to put away. I’m not looking for a gold star for dishwasher skills. My point is that, with this much experience, much of it gained through making mistakes, whatever dishwasher problem comes up, I’ve got the experience to solve it quickly. 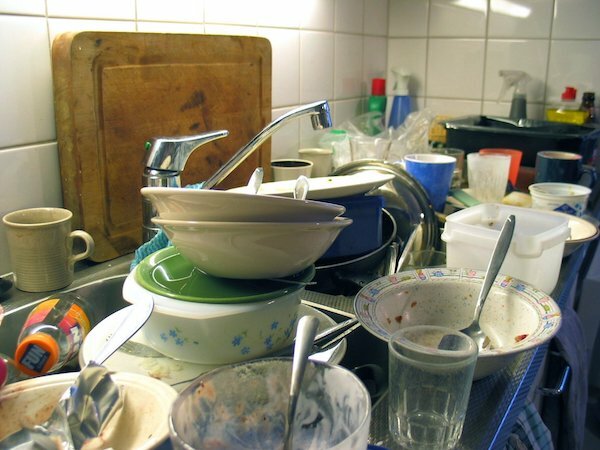 This means that even if there is a huge pile of dishes, I can make my way through it steadily and efficiently. I actually enter a flow state, anticipating problems, solving them in the right order, steadily generating a properly organized dishwasher, and then finding everything nice and clean when the cycle is done. Moving steadily forward this efficiently is very pleasurable. So is seeing the sparkling result and contributing something useful to my family. Writing is not like doing dishes. It requires preparation You have to interact with other people. A good vocabulary helps, as does an excellent knowledge of grammar rules. Who would approach writing the way they do washing dishes? Absurd. 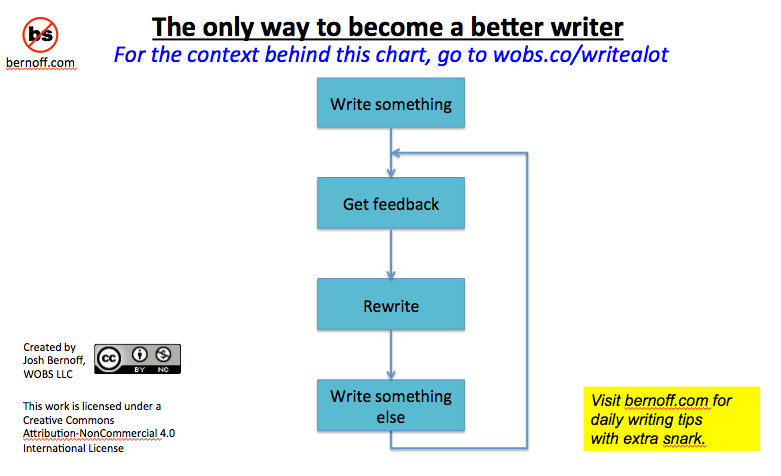 Experienced writers do not start writing by writing. They start by considering their readers, objective, and desired action and impression. They conduct research, sometimes for days or weeks. They ponder ideas and organize them. When it’s actually time to write, experienced writers bring their historical knowledge to bear. They’ve written feature stories, or case studies, or data analyses, or how-to articles before. They know what goes into them, in what order. They know how to arrange the pieces in the right way. When it’s time to sit down to write, having done all the necessary preparation, the writer enters a flow state. There is steady progress, applying expertise to solve each writing problems as it arises. The ingredients are all present and the writing skills are available on demand. It’s just a question of applying them. And while many writers would like to puff up their incredible capabilities, to me the actual writing feels a lot like doing the dishes. You make your way through the task ahead of you and generate something sparkling clean. Making that progress is fulfilling and pleasurable and productive, just like all work done in flow. I’ve been writing professionally for almost 40 years. Perhaps you have, most likely you haven’t. And if you’re like many of the writers I know, you don’t find writing to be a completely pleasurable experience. 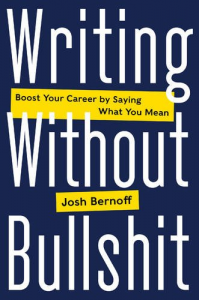 I even know business book writers who think writing the book is the most painful part of their work. This is what cooking feels like for me: a process where I am following instructions, don’t feel confident, move forward haltingly, make a lot of mistakes, and generate something barely consumable. If you are a writer like this, do not despair. You can generate smoothly flowing prose and make your writing pleasurable. Here’s how. First, think about ideas before you write. Think about them a lot. Without ideas, writing is pain and the result is crap. If you’re stuck, talk to somebody — conversations generate ideas. Second, do the research first and assemble all the resulting content into a fat outline. If you do that ahead of time, the writing process will be much easier. Third, give your brain a chance. Don’t write when you’re jittery on caffeine, half-asleep, or have only 15 minutes free. Give yourself a good solid block of uninterrupted time with your body and brain in an appropriate state. And above all, practice. No writer was a great writer when they first started. Solve the problem of writing. Then do it again. Then do it again. Practice. Get feedback. Practice more. Eventually your skills and preparation will enable you to produce great writing in flow and enjoy every moment. That’s at least as much fun as doing the dishes, and contributes more to humanity.